This article is about Green parties in general. For political parties, see List of green political parties and Green Party (disambiguation). A Green party is a formally organized political party based on the principles of green politics, such as social justice, environmentalism and nonviolence. Greens believe that these issues are inherently related to one another as a foundation for world peace. Green party platforms typically embrace social-democratic economic policies and forming coalitions with other left-wing parties. Green parties exist in nearly 90 countries around the world; many are members of Global Greens. In contrast, formally organized Green parties may follow a coherent ideology that includes not only environmentalism, but often also other concerns such as social justice, consensus decision-making and nonviolence. Greens believe that these issues are inherently related to one another as a foundation for world peace. The best-known statement of the above Green values is the Four Pillars of the Green Party, adopted by the German Greens in 1979–1980 (but forsaken since). The Global Greens Charter lists six guiding principles which are ecological wisdom, social justice, participatory democracy, nonviolence, sustainability and respect for diversity. Political parties campaigning on a predominantly environmental platform arose in the early 1970s in various parts of the world. The world's first political parties to campaign on a predominantly environmental platform were the United Tasmania Group contested the April 1972 state election in Tasmania, Australia and the Values Party of New Zealand, which contested the November 1972 New Zealand general election. Their use of the name 'Green' derived from the 'Green Bans': an Australian movement of building workers who refused to build on sites of cultural and environmental significance. The first green party in Europe was the Popular Movement for the Environment, founded in 1972 in the Swiss canton of Neuchâtel. The first national green party in Europe was PEOPLE, founded in Britain in February 1973, which eventually turned into the Ecology Party, and then the Green Party. Several other local political groups were founded in beginning of the 1970s and Fons Sprangers was probably the first Green mayor in the world, elected in 1970 in Meer, and active until 2006 for the Flemish Greens. The first political party to use the name "Green" seems to have been the Lower Saxon "Green List for Environmental Protection", founded Sept. 1, 1977. The first Green Party to achieve national prominence was the German Green Party, famous for their opposition to nuclear power, as well as an expression of anti-centralist and pacifist values traditional to greens. They were founded in 1980 and have been in coalition governments at state level for some years. They were in federal government with the Social Democratic Party of Germany in a so-called Red-Green alliance from 1998 to 2005. In 2001, they reached an agreement to end reliance on nuclear power in Germany, and agreed to remain in coalition and support the government of Chancellor Gerhard Schröder in the 2001 Afghan War. This put them at odds with many Greens worldwide. In Finland, in 1995, the Finnish Green Party was the first European Green party to be part of a national Cabinet. Other Green parties that have participated in government at national level include the Groen! (formerly Agalev) and Ecolo in Belgium, Les Verts in France and the Green Party in Ireland. In the Netherlands GroenLinks ("GreenLeft") was founded in 1990 from four small left-wing parties and is now a stable faction in the Dutch parliament. The Australian Greens supported a Labor minority government from 2010 to 2013, and have participated in several state governments. Around the world, individuals have formed many Green parties over the last thirty years. Green parties now exist in most countries with democratic systems: from Canada to Peru; from Norway to South Africa; from Ireland to Mongolia. There is Green representation at national, regional and local levels in many countries around the world. Most of the Green parties are formed to win elections, and so organize themselves by the presented electoral or political districts. But that does not apply universally: The Green Party of Alaska is organized along bioregional lines to practice bioregional democracy. Academic research has uncovered striking international consistency in the typical demographic and attitudinal profile of Green party supporters. In particular, Green voters tend to be young, highly educated, disproportionately female, and employed in the social and cultural services (healthcare, teaching, the arts etc. ), whilst also displaying above-average levels of environmentalism and social liberalism. Additionally, Green parties also tend to attract greater levels of support in countries defined by high levels of economic development and low levels of unemployment, as well as the presence of tangible environmental disputes (such as nuclear power production) and active major party competition on the environmental issue. The former two factors are believed to generate cohorts of voters with enough material security to devote their attention to 'higher' goals such as environmentalism; the latter two help raise the profile of the Green's own policy positions and statements (providing that the major parties do not act so quickly to the rising salience of environmentalism as to usurp the issue entirely and completely preempt the development of a separate ecological party). Depending on local conditions or issues, platforms and alliances may vary. In line with the goal of democracy, neighboring ecoregions may require different policies or protections. A Red-Green alliance is an alliance between Green parties and social democratic parties. Such alliances are typically formed for the purpose of elections (mostly in first-past-the-post election systems), or, after elections, for the purpose of forming a government. Some Greens, such as those in Hawaii, find more effective alliances with more conservative groups (Blue-Green alliance) or indigenous peoples - who seek to prevent disruption of traditional ways of life or to save ecological resources they depend on. Although Greens find much to support in fostering these types of alliances with groups of historically different backgrounds, they also feel strongly about forming diverse communities through encouragement of diversity in social and economic demographics in communities, especially in the United States. Alliances often highlight strategic differences between participating in parties and advancing the values of the Green movement. For example, Greens became allied with centre-right parties to oust the centre-left ruling Institutional Revolutionary Party of Mexico. Ralph Nader, the 2000 presidential nominee of the U.S. Greens, campaigned with ultra-conservative Pat Buchanan on joint issues such as farm policy and bans on corporate funding of election campaigns, although this "alliance" between Nader and Buchanan was very specifically limited to the purpose of showing that there was broad support for certain specific issues, across the political spectrum. U.S. Greens grew dramatically throughout 2001. However, stable coalitions (such as that in Germany) tend to be formed between elections with left-wing parties on social issues, and 'the grassroots right' on such issues as irresponsible corporate subsidies and public ethics. On 13 June 2007, the Irish Green Party, represented by six members of parliament or TDs, agreed to go into a coalition government for the first time in their history, with Fianna Fáil. Fianna Fáil and the Green Party were joined by the Progressive Democrats in a coalition also supported by a number of independent members of parliament (the Progressive Democrats later dissolved as a party, though their members remained in parliament). The Green Party held two Cabinet seats, as well as two junior ministries, until their withdrawal from government in January 2011. They lost all of their six seats in the following month's general election, but regained two in the 2016 General Election. In the Czech Republic, the Green Party was part of the governing coalition, together with the conservative Civic Democratic Party (ODS) and the Christian Democrats (KDU–ČSL) from January 2007 until the government collapsed in March 2009. As of 2002 the foundation of Green parties has been the most notable in Africa. The leader of the Kenyan Green Party, Wangari Maathai, won the Nobel Peace Prize in 2004, enhancing the image of Green parties across Africa and throughout the world. Green parties have achieved national or state parliamentary representation in New Zealand, Australia and Vanuatu. In New Zealand the Green Party of Aotearoa New Zealand currently holds 8 seats in the New Zealand House of Representatives after the 2017 general election. The Australian Greens hold 10 seats in the Australian Senate and one seat in the Australian House of Representatives. Since 2004, they have received more votes than any other third party in every federal election. They also have representation in the upper and lower houses of state parliaments of five states and in the unicameral chamber of one territory. Greens also hold representative positions in local government across New Zealand and Australia (where a number of local government authorities are controlled by Green councilors). The Greens took the seat of Melbourne from the Australian Labor Party in 2010 with candidate Adam Bandt. This is the first time the Greens have won a Lower House seat at a general election (although they have previously won two seats at by-elections). Proportional representation in the Australian Senate and in New Zealand has strengthened the position of the Australian Greens and the Green Party of New Zealand and enabled them to participate directly in legislatures and policy-making committees. In countries following British-style 'first past the post' electoral rules, Green parties face barriers to gaining federal or provincial/regional/state seats. The Australian Labor Party's practice of allocating a portion of ALP ticket votes to Australian Greens has helped bring AG candidates into parliament. In the 2008 ACT election in Australia, the Greens won 15.6% of the vote, winning 4 out of 17 seats. Shane Rattenbury was elected the speaker of the assembly, the first time a Green party member had held such a position in any parliament or assembly in Australia. However, they retained only one seat at the 2012 election in the same territory. The Green Confederation (Confédération Verte) in Vanuatu won 3 out of 52 seats in the last general election in October 2012. Its most prominent member is Moana Carcasses Kalosil, who became Prime Minister in March 2013. Carcasses, a Green liberal, does not lead a Green government, but a broad coalition government in which he is the only Green minister. There is a Papua New Guinea Greens Party, but it does not have any members in Parliament. There was briefly a Green Party in Fiji from 2008 to 2013; as Parliament was suspended by the military regime during this time, the party was not able to take part in any election before all parties were deregistered in 2013. The Uttarakhand Parivartan Party (UKPP) - directly translated in English as the "Uttarakhand Transformation Party", is the first Green party in India and is registered in the state of Uttarakhand. UKPP was formed on January 18, 2009 after two years of grassroots deliberations. The party fielded two candidates in the 2009 parliamentary elections and 15 candidates in the 2012 state assembly elections. UKPP is raising awareness about Green politics among the masses, although yet to win representation in government. The India Greens - The Green Party of India was created in 2018. , they have held their National Convention on 17th November, 2018 and have elected Mr. Suresh Nautiyal as their National President. The Green Party of Pakistan was created in 2002, and the Green Party of Saudi Arabia emerged 2010. However, due to political repression, some South and Southwest Asian Green parties are underground organizations. The Green Party of Lebanon was founded in 2008 as a secular party. 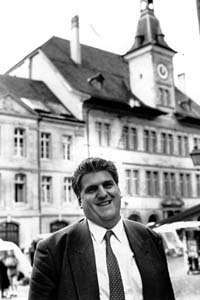 Its first president was Philippe Skaff, CEO of Grey Advertising. The party debuted with the May 2010 municipal elections. In 2011, the party became the first political party in Lebanon to elect a female leader when Nada Zaarour was elected its president. The first green parties in Europe were founded in the late 1970s, following the rise of environmental awareness and the development of new social movements. Green parties in Belgium first made a breakthrough. Belgium had Green members of parliament elected first in the 1970s, and with seats on the local council, held the balance of power in the city of Liege, so were the first to go into coalition with the ruling party on that council. In 1979 political campaigns and dissident groups feeling underrepresented in west German politics formed a coalition to contest the 1979 elections to the European Parliament. Although they did not win any seats, the groups in this association formally agreed to become a party and won a breakthrough in the German national elections of 1983. They were not the first Green Party in Europe to have members elected nationally but the impression was created that they had been, because they attracted the most media attention. This was partly due to their charismatic leader Petra Kelly, a German who was of interest to the American media because she had an American step-father. Since its foundation in 1980 and merger with Alliance 90 after the German reunification, Kelly's party, now named Alliance '90/The Greens, has become one of Europe's most important Green parties. It played an important role in the formation of national-level Green parties in other countries such as Spain as well. The forerunner of the Green Party in the United Kingdom was the PEOPLE Party, formed in Coventry in 1972. It changed its name to the Ecology Party in 1973 and the Green Party in 1985. In 1984 Greens agreed a common platform for the European Parliament Elections and the first Green Members of the European Parliament were elected here. Germany, a stronghold of the Green movement, elected seven MEPs; two more came from Belgium and two from the Netherlands. As those nine MEPs did not entitle the Greens to form a parliamentary group on their own, they concluded an alliance with MEPs from Italy, Denmark, and regionalists from Flanders and Ireland to form the GRAEL (Green Alternative European Link) group, also known as the Rainbow Group. Politically they engaged in the fight against environmental pollution, nuclear energy (1986 saw the Chernobyl disaster), the promotion of animal protection and the campaign against the demolition of Brussels by speculation fuelled by the presence of the European institutions. After years of co-operation between the national Green parties, they formed a pan-European alliance that unites most European Green parties. The Greens are a party within the European parliament with 46 seats, as of June 2009. It has a long-standing alliance with the European Free Alliance (EFA), an alliance of "stateless nations", such as the Welsh nationalist Plaid Cymru and Scottish National Party. Together European Green Party/EFA have 58 seats and they are the fourth largest party in the European Parliament. While on many issues European Greens practice the same policies, one issue divides European Green parties: the European Union. Some Green parties, like the Dutch GreenLeft, the Green Party of England and Wales, the Swiss Green Party, the Irish Green Party and the German Alliance '90/The Greens, are pro-European while some, like the Green party in Sweden, are moderately eurosceptic. Some Green parties have been part of governing coalitions. The first one was the Finnish Green League that entered government in 1995. The Italian Federation of the Greens, the French Greens, the German Alliance '90/The Greens and both Belgian Green parties, the French-speaking Ecolo and the Dutch-speaking Agalev were part of government during the late 1990s. 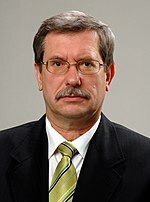 Most successful was the Latvian Green Party, who supplied the Prime Minister of Latvia in 2004. The Swedish Green party was a long term supporter of the social-democratic minority government until the election 2006 when the social-democratic party lost. The Irish Green Party were in government from 2007 until January 2011 when the party withdrew their support for the ruling coalition. During their period in office, the Irish Green Party held two Cabinet portfolios including Minister for the Environment, Heritage and Local Government and Minister for Communications, Energy and Natural Resources. Vējonis (elected 2015) and Van der Bellen (elected 2016) are Europe's first two green heads of state. In Scandinavia, left-wing socialist parties have formed the Nordic Green Left Alliance. These parties have the same ideals as European Greens. However, they do not cooperate with the Global Greens or European Greens, but instead form a combined parliamentary group with the Party of the European Left, which unites communists and post-communists. There is one exception, in 2004 the MEP for Danish Socialist People's Party has left the Nordic Green Left parliamentary group and has joined the Green parliamentary group in the European parliament. The Socialist People's Party is currently an observer at the European Green Party and the Global Greens. Outside of Scandinavia, in 2004, Latvia became the first country in the world to have a Green politician become Head of Government, but in 2006 the Green Party received only 16.71 percent of the vote. In the Estonia 2007 parliamentary elections, the Estonian Greens won 7.1 percent of the vote, and a mandate for six seats in the country's parliament, the Riigikogu. Other significant electoral results for European green parties include Germany's Alliance '90/The Greens in the 2002 federal election and France's Europe Ecology – The Greens in the 2012 legislative election, in which they both won more seats than any other third party. 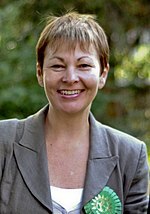 British MP Caroline Lucas is the UK's first green politician elected under the first-past-the-post system. In some countries Greens have found it difficult to win any representation in the national parliament. Three reasons can be found for this. It includes countries with a first past the post electoral system, such as the United Kingdom. However, despite the first past the post system in the United Kingdom, the Green Party of England and Wales won their first seat in the House of Commons when Caroline Lucas won the seat of Brighton Pavilion in 2010. The Scottish Green Party has had success in the devolved Scottish Parliament and the Irish Green Party in Northern Ireland has had success in the devolved Northern Ireland Assembly, where the first-past-the-post system is not used. In countries where a party with similar ideals is stronger, such as Norway and Denmark, Green parties tend to perform worse. In some Eastern European countries, like Romania and Poland, Green parties are still in the process of formation and have therefore not gained enough support. The Green Party of Bulgaria is a part of the left-wing Coalition for Bulgaria, currently in opposition. It has no parliamentary representation but it did supply one Deputy Minister in the government of Prime Minister Sergey Stanishev from 2005 to 2009. The European Green Party has worked to support weak Green parties in European countries. Until recently, they were giving support to Green parties in the Mediterranean countries. These Green parties are now making electoral gains, e.g. in Spain, Greece and Republic of Cyprus, or getting organized to do so, e.g. in Malta. Therefore, the EGP is now turning its attention to Eastern Europe – all these countries have Green parties, but in materially poor Eastern Europe the success of Green Parties is patchy except for Hungary, where the local Green party, Politics Can Be Different (LMP), has been elected to parliament and many city councils. Greens and the Left Party of the Future is a left-libertarian and green party in Turkey. It was founded on 25 November 2012 as a merger of the Greens Party and the Equality and Democracy Party. Prominent members include Murat Belge, left-liberal political author and columnist for Taraf; Kutluğ Ataman, filmmaker and contemporary artist; and Ufuk Uras, former Istanbul deputy and president of the Freedom and Solidarity Party. The party is one of the participants in the Peoples' Democratic Congress, a political initiative instrumental in founding the Peoples' Democratic Party in 2012. As of the 41st general election in Canada, held on May 2, 2011, there was only one federally elected member of the Green Party of Canada in the House of Commons of Canada, its leader Elizabeth May. However, at the dissolution of the 41st Parliament on August 2, 2015, the Green Party of Canada held two seats in the House of Commons, the second seat belonging to formerly Independent MP Bruce Hyer who was elected to the House of Commons as a member of the NDP in 2011. Only May won re-election to the 42nd parliament. There remains no federal representation by the Green Party of the United States in the U.S. Congress. Accordingly, in these countries, Green parties focus on electoral reform. In Mexico, however, the Partido Verde Ecologista, often abbreviated as PVEM, has 17 deputies and four senators in Congress as a result of the 2006 elections. Nevertheless, some of its political practices such as plead in favor of the death penalty in Mexico, led to the European Green Party's withdrawal of recognition of the PVEM as a legitimate green party. The first Green parties in Canada (both federal and provincial) were founded in 1983. The strongest provincial Green parties are the Green Party of British Columbia, the Green Party of Ontario, the Green Party of New Brunswick, and the Green Party of Prince Edward Island. As of May 2013, the first ever BC elected green member was elected, in 2014 a Green MLA was elected to the New Brunswick legislature, in 2015 a Green MLA was elected to the Prince Edward Island Legislature, and in 2018 Mike Schreiner became the first Green MPP elected to the Ontario provincial legislature. Federally, the Green Party of Canada received 3.91% of the popular vote in the 2011 federal election and its support and influence continues to rise. Support waned slightly in the 2011 federal election when it captured 3.91% of the popular vote, down from the 6.8% captured in the 2008 federal election; support fell another 0.46% in the 2015 federal election. Although Ms. May was the first elected Member of Parliament, the first seat was gained in the House of Commons of Canada on August 30, 2008 when sitting Independent MP Blair Wilson joined the party. May continues to sit as a Member of Parliament for Saanich-Gulf Islands and has exerted a considerable amount of legislative influence on a number of issues ranging from denying unanimous consent for military intervention in Libya, playing a central role in exposing changes to environmental legislation hidden in the omnibus Budget Bill C-38, to introducing a private member's bill to develop a national strategy on Lyme disease. In the 2008 Vancouver municipal election, Stuart Mackinnon, a member of the Vancouver Green Party, was elected to the Vancouver Parks Board. Since that time former Green Party of British Columbia leader, and deputy-leader of the federal Green party, Adriane Carr won the Greens' first seat on Vancouver City Council, in 2011 municipal elections. See also: Provincial parties in Canada, List of Green party leaders in Canada, and List of Green politicians who have held office in Canada. In the United States, Greens first ran for public office in 1985. Since then, the Green Party of the United States has claimed electoral victories at the municipal, county and state levels. The first U.S. Greens to be elected were David Conley and Frank Koehn in Wisconsin 1986. Each was elected to a position on the County Board of Supervisors in Douglas and Bayfield counties respectively. Keiko Bonk was first elected in 1992 in Hawaii County, becoming Official Chairwoman in 1995. The first Green Party mayor  was Kelly Weaverling, elected in Cordova, AK in 1991. As of April 2018, 156 Greens held elective office across the U.S.A. in 19 states. The states with the largest numbers of Green elected officials are California (68), Connecticut (15), and Pennsylvania (15). Titles of offices held include: Alderman, Auditor, Board of Appeals, Board of Finance, Board of Selectmen, Borough Council, Budget Committee, Circuit Court Judge, City Council, Common Council, Community College District Board of Trustees, Community Service Board, Conservation Congress, Constable, County Board of Supervisors, County Supervisor, Fire Commission, Fire District Board, Inspector of Elections, Judge of Elections, Mayor, Neighborhood Council Board, Park District, Parks and Recreation District Board, Library Board, Planning Board, Public Housing Authority Resident Advisory Board, Public Service District, Rent Stabilization Board, Sanitary District Board, School Board, Soil and Water Conservation Board, State Representative, Town Council, Transit District Board, Village Trustee, Water District Board, and Zoning Board of Appeals  As of October 2016, 100 Greens held elected office across the US. The first US Green elected to a state legislature was Audie Bock in 1999, to the California State Assembly, followed by John Eder to the Maine House of Representatives in 2002 and 2004 and Richard Carroll to the Arkansas House of Representatives in 2008. While in office in 2003 in the New Jersey General Assembly, incumbent Matt Ahearn made a party switch to Green for the remainder of his term. The Green Party has contested six U.S.A. presidential elections: in 1996 and 2000 with Ralph Nader for President and Winona LaDuke as Vice President, in 2004 with David Cobb for President and Pat LaMarche for Vice President, and in 2008 with Cynthia McKinney for President and Rosa Clemente for Vice President. In 2000, Nader received more votes for president than any Green Party candidate before or since. Jill Stein ran for president on the Green ticket in 2012 and 2016; the vice-presidential candidates were Cheri Honkala in 2012 and Ajamu Baraka in 2016. Stein, who received over one million votes in the 2016 race, and led unsuccessful attempts toward 2016 election recounts in three states: Michigan, Pennsylvania, and Wisconsin. Marina Silva's Green Party in the Brazilian presidential election, 2010 won 19.33% of the vote of the first round (more than any other third party), taking enough votes from Dilma Rousseff of the incumbent PT party to stop her getting the 50% needed to avoid a second round of which she went on to beat Jose Serra of the opposition PSDB party. Despite only winning numerically the vote in one state, the Green Party came second in front of Dilma Rousseff in Amapa, Amazonas, Pernambuco and in Rio de Janeiro in front of Jose Serra. The Green Party tied with Serra in Ceara, both having 16.36% of the vote, although Dilma Rousseff won the state. Maranhão also had a 1.5% difference in vote between Serra and Marina with the Green Party in third. In São Paulo, the Green Part had their strongest showing with almost 5 million (20.77%) of the votes cast. Success in the legislature amounted to winning 2 more seats for a total of 15 in the Chamber of Deputies and the loss of their only senate seat. In the 1990s, the Oxygen Green Party was created under the leadership of Ingrid Betancourt but dissolved after her infamous kidnapping. Later, the Visionaries Party was created by Antanas Mockus whose ideals earned him the Bogotá Mayoral Office twice. In the 2010 Colombian presidential election a green party has been created under the name Colombian Green Party, with former Bogotá mayor Antanas Mockus being the leader. ^ "Global Greens Charter". Global Greens. 2012. Retrieved 2018-01-15. ^ Dann, Christine. "The development of the first two Green parties New Zealand and Tasmania". From Earth's last islands. The global origins of Green politics. Global Greens. Archived from the original on June 10, 2011. ^ Oesch, Daniel (January 1, 2013). "Chapter 3: The class basis of the cleavage between the New Left and the radical right: An analysis for Austria, Denmark, Norway and Switzerland". In Rydgren, Jens (ed.). Class Politics and the Radical Right. London: Routledge. pp. 31–51. ISBN 978-0415690522. ^ Dolezal, Martin (Summer 2010). "Exploring the Stabilisation of a Political Force: The Social and Attitudinal Basis of Green Parties in the Age of Globalisation". West European Politics. 33 (3): 534–552. doi:10.1080/01402381003654569. ^ Grant, Zack P.; Tilley, James (Autumn 2018). "Fertile Soil: Explaining variation in the success of Green parties". West European Politics. 42 (3): 495–516. doi:10.1080/01402382.2018.1521673. ^ New Zealand Electoral Commission. "NEW ZEALAND 2017 GENERAL ELECTION - OFFICIAL RESULTS". ^ "Green Party holds annual congress in Beirut | News, Lebanon News". The Daily Star. 2010-02-12. Retrieved 2013-08-29. ^ "Lebanon's Green Party | The Lebanese Inner Circle : Blog". Theinnercircle.wordpress.com. 2008-08-22. Retrieved 2013-08-29. ^ "A Green Party Grows in Lebanon". Green Prophet. 2009-12-07. Retrieved 2013-08-29. ^ "Green Party becomes first in Lebanon to elect female leader | News, Lebanon News". The Daily Star. 2011-09-06. Retrieved 2013-08-29. ^ Louise Gray (7 May 2010). "General Election 2010: first Green MP edges out Labour". Daily Telegraph. Retrieved 6 December 2016. ^ "Green Party Officeholders 2016 :: Mayors". Gp.org. Archived from the original on 2013-09-22. Retrieved 2013-08-29.